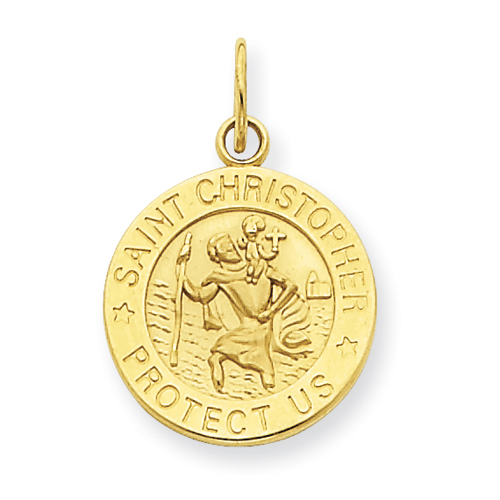 Saint Christopher medal charm is made of polished 14kt yellow gold. Item measures 9/16 inch round without loop and jump ring. This item is about the size of a dime. The jump ring will accommodate up to a 2mm wide chain. Weighs 1.01 grams.